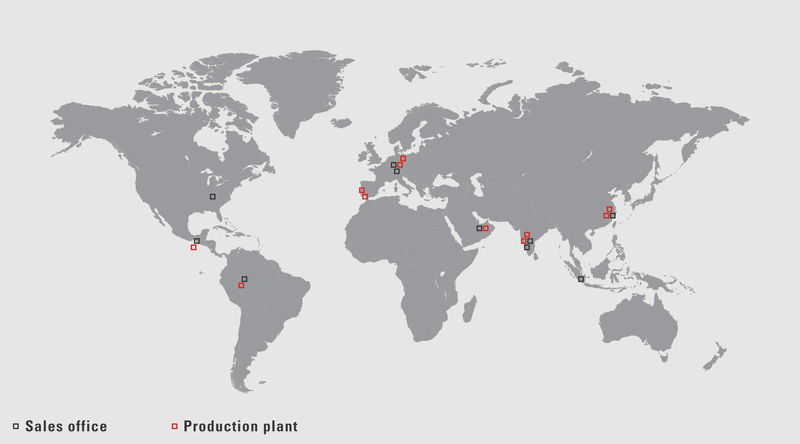 As a global corporation, the VAUTID Group has its own sales companies – and our own research laboratories and production facilities – on every continent. In our worldwide organization, some 450 employees from more than 20 countries come together with a network of sales specialists, all with a single objective in mind – finding the perfect VAUTID wear solution for our customers. In recent years the Group has been steadily building its international presence. We now have a presence in 40 countries, and we are supplying original VAUTID materials and solutions to more than 60 countries in all. And we’re expanding even further, increasing our strength in Europe, Asia and America so that we can serve our globally active customers even better. Whether it’s choosing the right material, designing the best system solution, fitting, refurbishment or technical support – you’re never far from a VAUTID expert, no matter where you are in the world. VAUTID SHANGHAI Wear Resistant Material Trading Co. Ltd.